This 1850 sq. ft. cottage was built to accommodate groups of families and friends. It features 2 bedrooms with queen-size beds, 2 handicap-accessible baths, a fully equipped kitchen, a dining area, a living room complete with a queen-size sofa and a utility room with a washer and dryer. The utility room also houses a privacy shower and toilet. 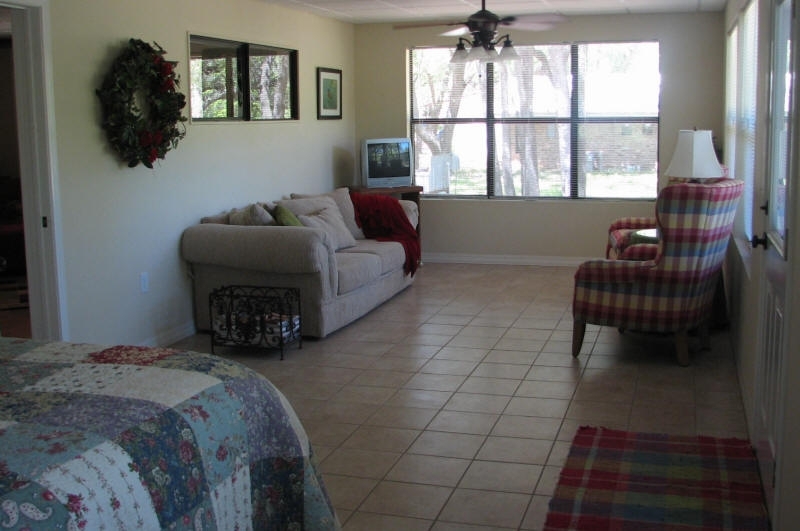 Take pleasure in visiting friends and family on the large sleeping porch. 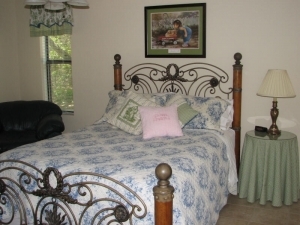 The sleeping porch is perfect for viewing wildlife and contains four queen-size beds. 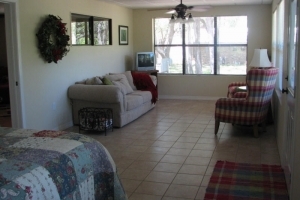 The Lodge will comfortably accommodate 12 - 14 adults. Rate - $400.00 per night for up to 6 guests. 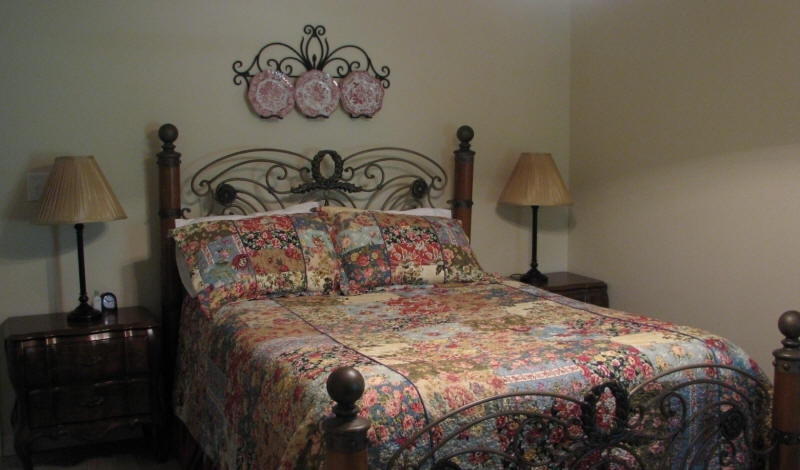 Each additional guest is charged $50.00 per night. Two night minimum stay. 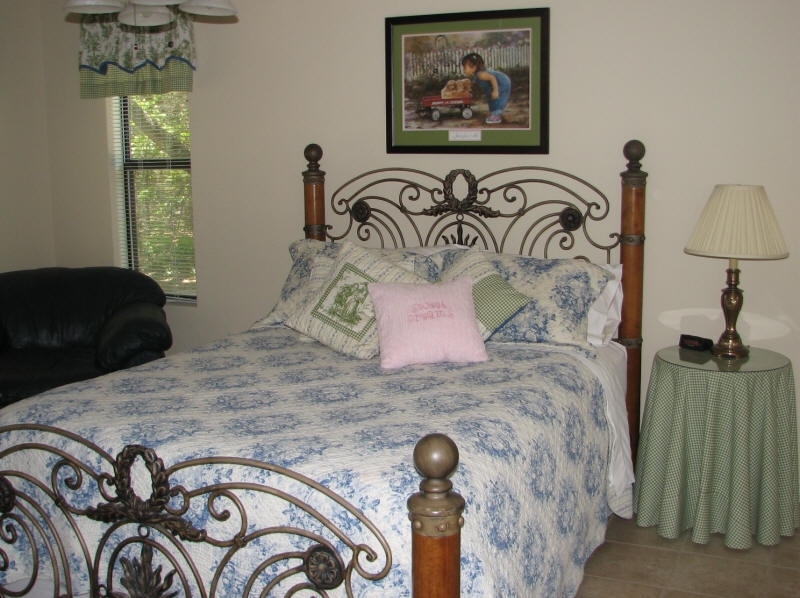 The Lodge is fully furnished with luxury bed and bath linens. 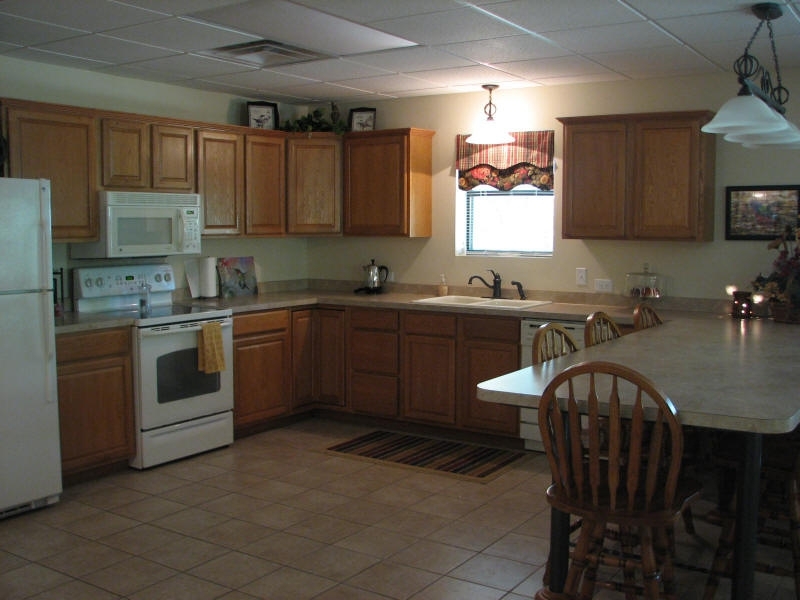 The kitchen is stocked with dishes and cooking utensils. 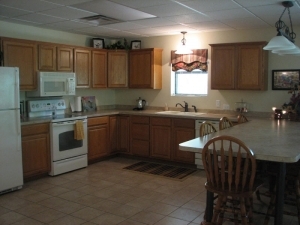 Complimentary self-catered food includes a variety of breakfast items. 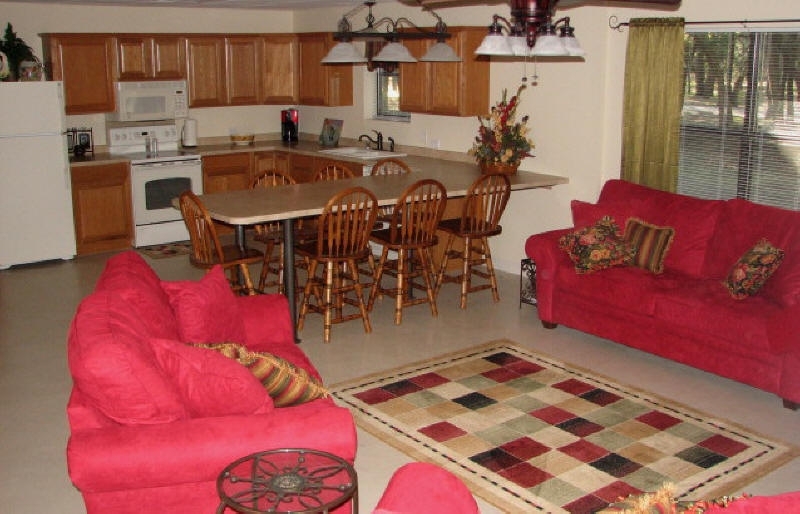 The Lodge has central heat and air conditioning, satellite television, an outdoor gas grill and covered parking. All facilities are non-smoking. We are unable to accommodate pets. One week bookings are given a 20% discount. Two or more week bookings are given a 30% discount. Hotel tax rate is 6%.